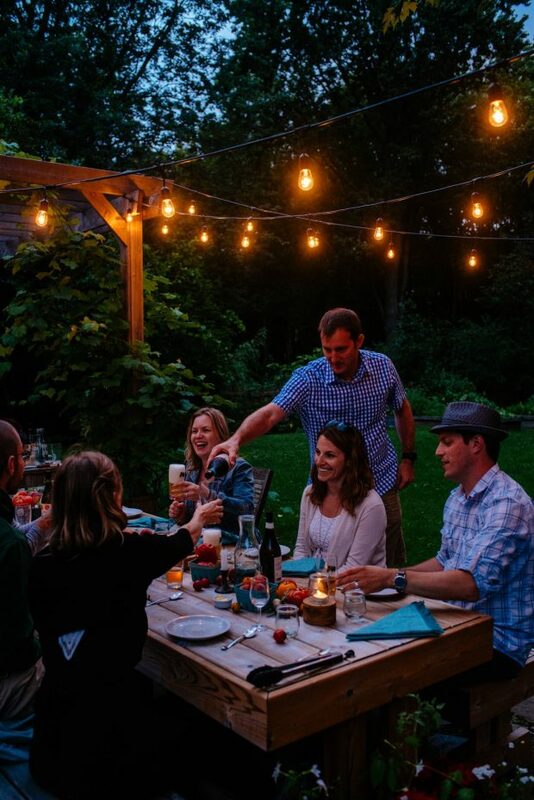 An outdoor dinner with friends to celebrate the season, in partnership with Beau’s All Natural. There’s been a slight chill in the air since we returned home from a road trip through Southern Ontario last week. While Niagara-on-the-Lake was blistering hot – hot enough to really sweeten the peaches we were picking – I’ve noticed I need to grab a flannel shirt when I’m heading out to the garden in the morning and evenings. The changing weather is just one reminder that summer is slipping away. Here on the homestead, another sign of the season is our annual harvest dinner. It is summer’s last hurrah, a gathering of close friends for no reason other than celebrating the bounty of August produce. 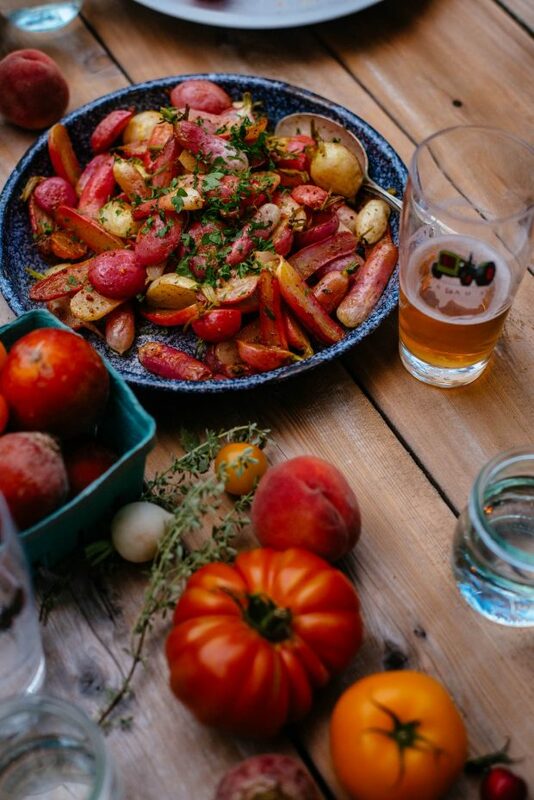 August always arrives as a bit of a shock, with its U-pick closures and school bulletin emails, but our harvest dinner helps us to embrace that laid-back vacation vibe one more time before we transition into work mode for the fall. Our harvest dinner stops the August rush dead in its tracks, at least for a day. 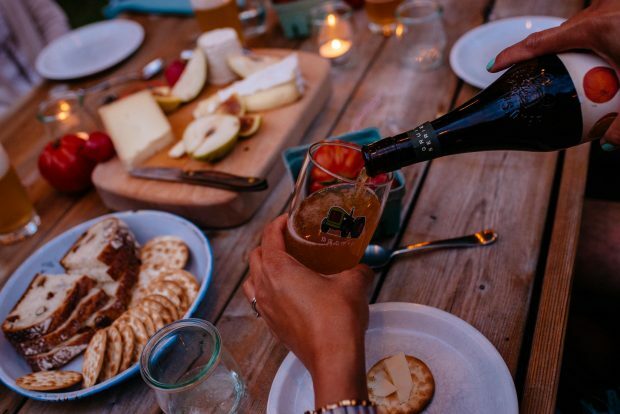 Harvest dinner is a good excuse to chill an epic amount of local beer, assemble vibrant appetizers to tease out the meal, and enjoy them both while swapping vacation stories with friends. It’s the perfect time to heap the table with both homegrown and locally grown fruit and vegetables that need absolutely no embellishment, and pile our plates with dishes from a seasonally-inspired menu. 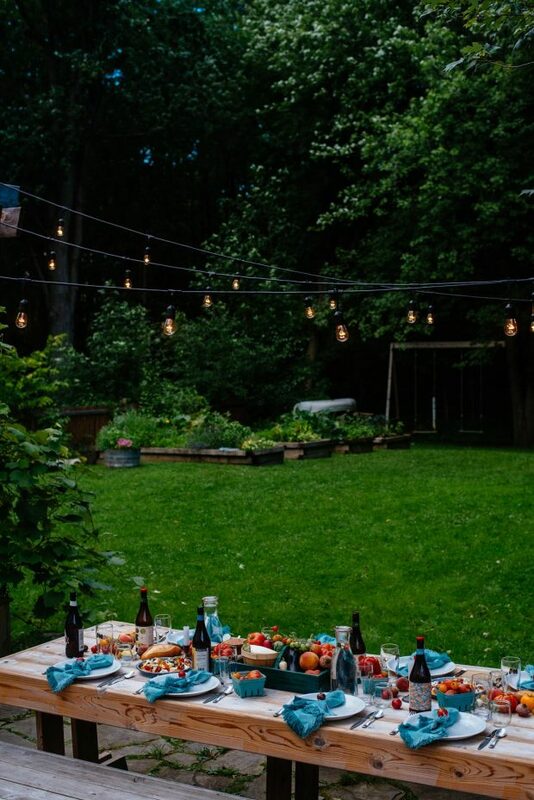 It provides the opportunity to linger on the patio under the string lights as long as possible; until the sun sets and the fireflies come out. 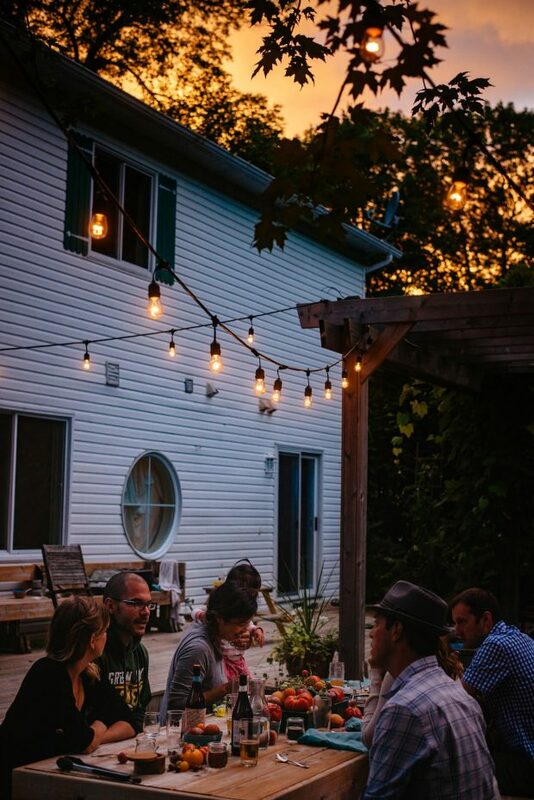 Our particular harvest dinner is also an occasion to let the kids stay up way past bedtime, eat far too much ice cream, and make memories that will last a lifetime. In short, it’s the best sort of party. No holidays to note, no birthdays to acknowledge. No small talk, just good conversation – and a lot of laughs. 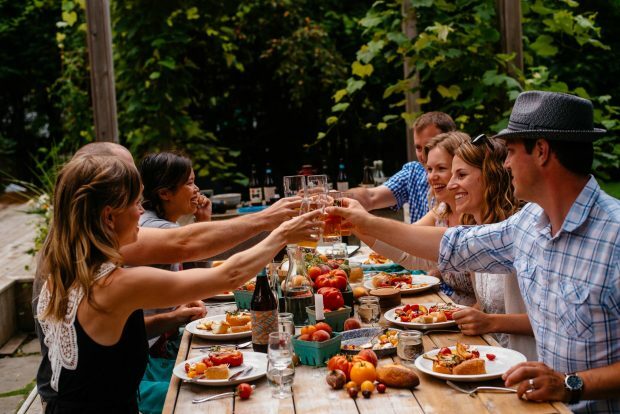 In the past, our sit-down al fresco harvest dinners have ranged from forty guests seated at one long table to a mere four of us gathered in the garden. For the last five years I’ve kept up the tradition, and even dedicated a chapter in my last cookbook to the joyous occasion. 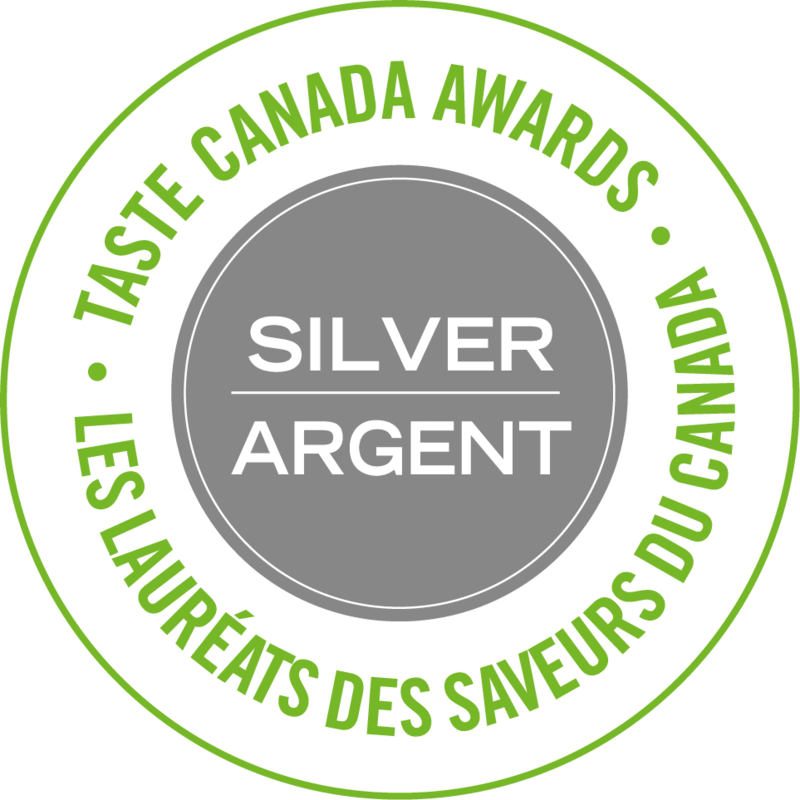 This year was an intimate event again, just eight of us adults – and a pack of kids. We fed them all in advance of our dinner and set them up with board games (older kids), movies (little ones) and an absolute mountain of buttered popcorn. All in all, we managed to pull off a fairly relaxed dinner – until the movie ended, of course. We started with a few simple appetizers. Normally I don’t fuss much with finger food, but my sister came over early and hung out in the kitchen before the party, assembling a few pretty bites for us. Thanks, Miranda. Summer appetizers are the most beautiful ever. 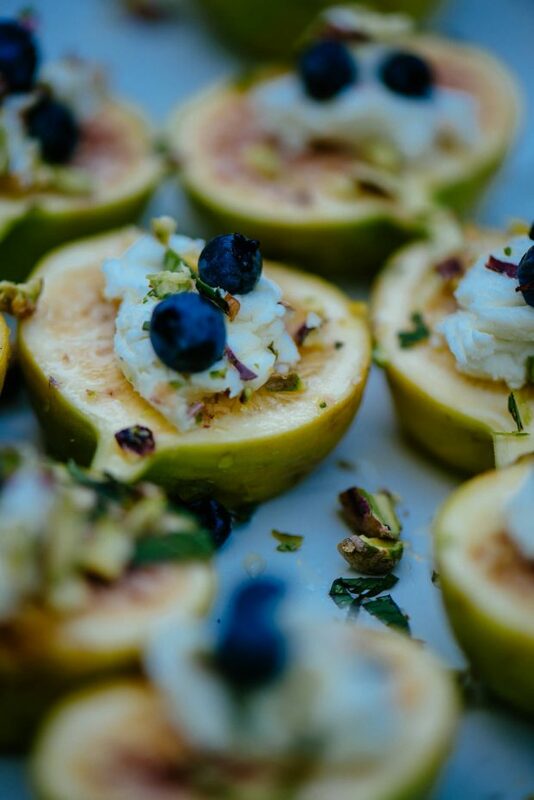 Don’t get me wrong, I love the wintery baked Brie’s and rustic tourtiere hand pies as much as the next person, but they are nowhere near as appetizing as cool melons and ripe figs, garnished with fresh herbs picked straight from the garden. 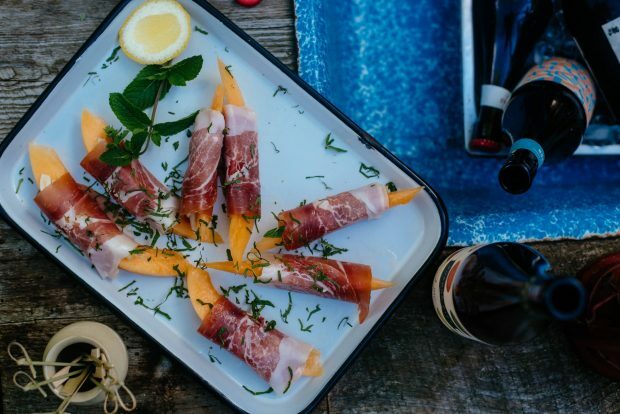 We also enjoyed a summertime classic of prosciutto and melon. I gave the cantaloupe a light drizzle of lemon juice first and finished the appetizer with more chopped mint. Simple, seasonal and delicious. I paired both of these with Beau’s Buenos Dias gruit ale and they disappeared quickly, as did the beer. After appetizers, we moved to the table for the first course. I added peaches to a classic tomato and mozzarella caprese salad, full of basil and thyme, and finished it off with a sprinkling of wild blueberries. 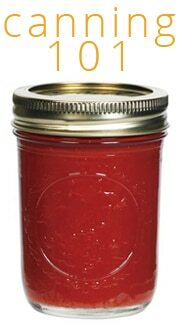 I’ll be sharing this recipe very soon here on the blog, as we have tomatoes ripening like crazy around here. It was the ultimate fresh tomato side dish and very simple, too. UPDATE: find the salad recipe HERE. Our pasta course was straight out of the pages of my upcoming cookbook: Lasagna-Stuffed Sweet Peppers. I can’t wait to share this recipe from the Vegetarian chapter of The Simple Bites Kitchen. They are filled with ricotta, spinach and fresh pasta and are the perfect starter for a veggie-centric harvest dinner. 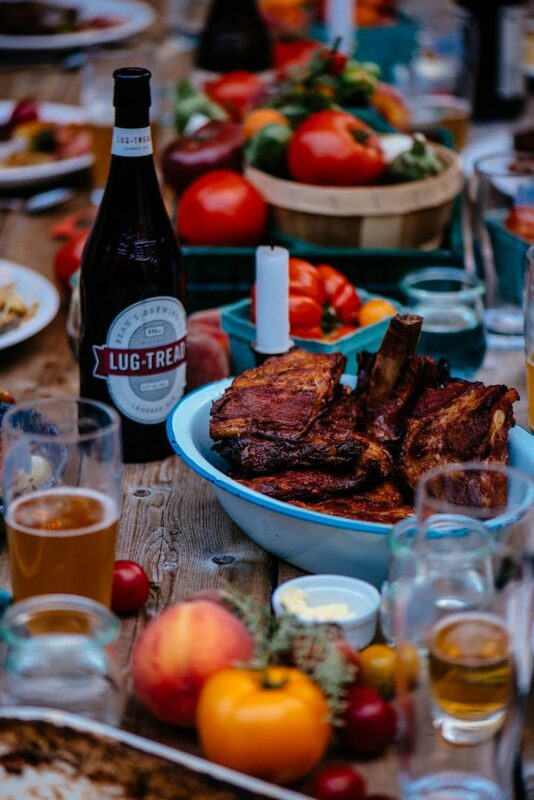 For our main course, I took a batch of beer-basted barbecue ribs straight off the charcoal grill and piled them high into a bowl on the table. I had such success with my batch of do-ahead ribs for my last gathering, that I decided to make them again, this time with Beau’s Lug Tread. So delicious, especially paired with a heaping bowl of roasted young radishes and a simple potato gratin. 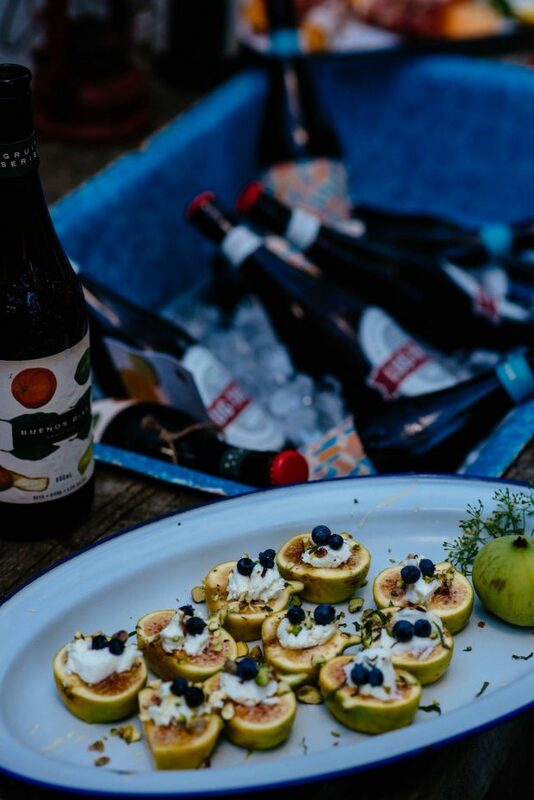 As the sun set behind the house and the string lights over the patio glinted a little brighter, I brought out the cheese course – three favourites paired with local pears and a few more figs. I honestly think this was the first time I’ve lingered over a cheese board all summer long. Such a luxury, especially when gathered with good friends. It was nearly dark when dessert arrived at the table; deep-dish peach pies, made from the Niagara peaches we picked ourselves just over a week ago. Together with vanilla ice cream, they were a sweet finish to our harvest dinner. Earlier in the year I promised myself to do small things with great love. 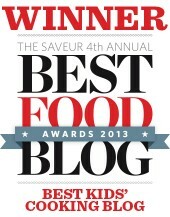 And a month later, I wrote about my desire to feed more people, both at home and afar. Many meals have taken place around my table since then, but last weekend’s harvest dinner felt like a close continuation of those sentiments. Summertime is so busy, the weeks can slip by in the blink of an eye and personal connections can wane. 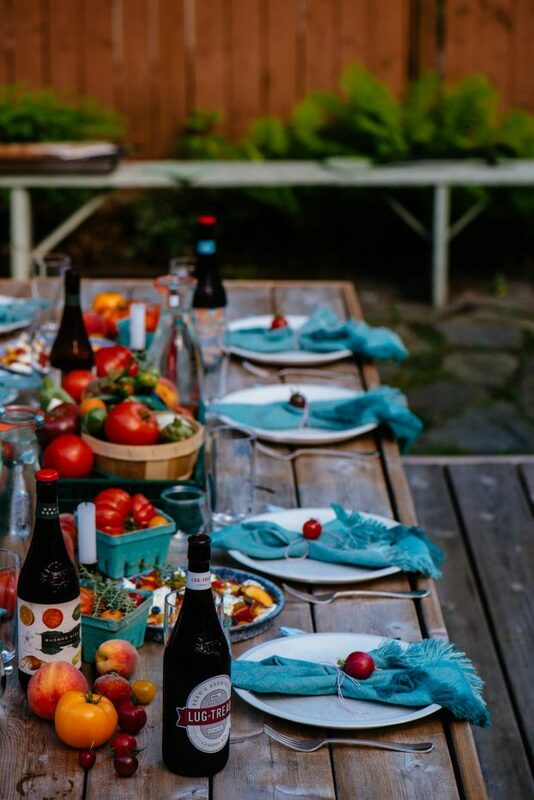 I hope this post inspires you to host a few friends around your table – outdoors or in – and celebrate both the bounty of the harvest and the blessings we are so privileged to experience in our everyday. This post was sponsored by Beau’s All Natural Brewery. All opinions are my own. All images by Tim Chin. Beautiful, Aimee! 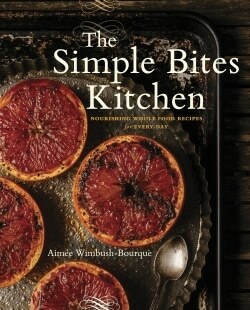 Can’t wait to see cookbook #2! 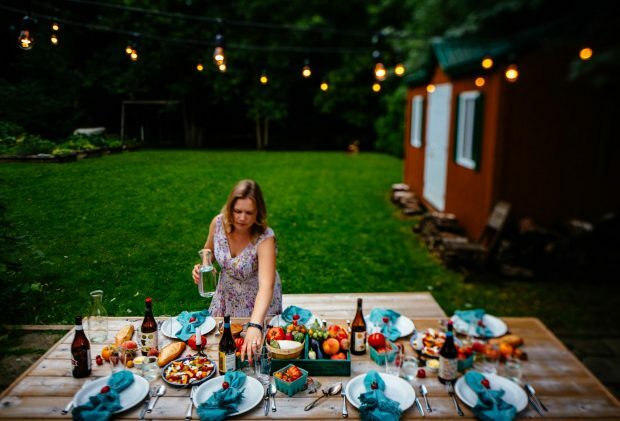 This is lovely Aimee in every way–setting, people, food! I was immediately drawn to the blue napkins! Can you tell us where you got them? Can’t wait to get your new book!! Hi Pam, thanks for your kind words. The napkins actually inspired this tablescape, so I’m glad you like them too. I found them in the discount section of my local Crate & Barrel store. I’m sure they are online, too. What a beautiful dinner! I love the simple decor of seasonal produce on the table and the lights are fabulous. 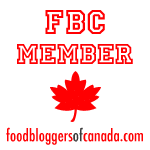 Your blog is a great inspiration to me and I’m always looking forward to new posts. Can’t wait for your new book. Here in Ireland the weather is really hot or miss, so one needs to be prepared for both inside and out! Thank you, Alice. Produce is so beautiful right now, it’s the only decoration table needs! 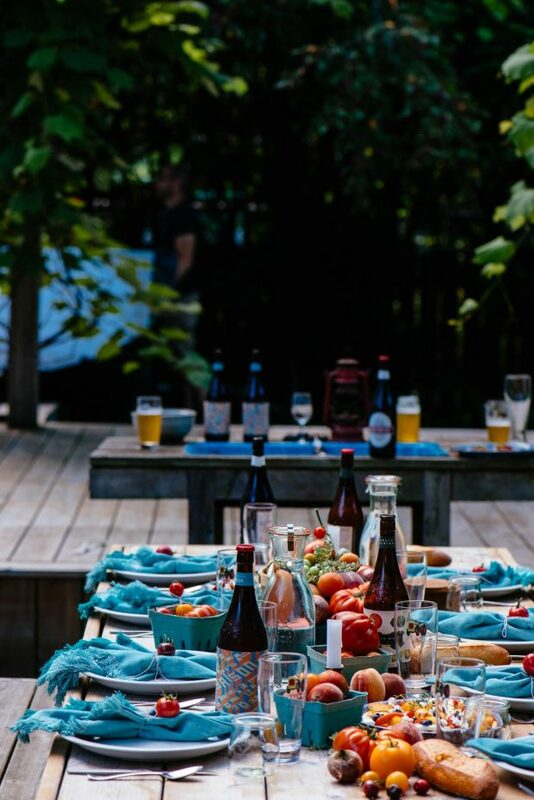 What a gorgeous get-together and a beautiful post to celebrate summer. I didn’t know what a “gruit ale” was so I checked it out on the Beau’s website. I’m amazed at all the ingredients you can add during the brewing process! I had no idea! 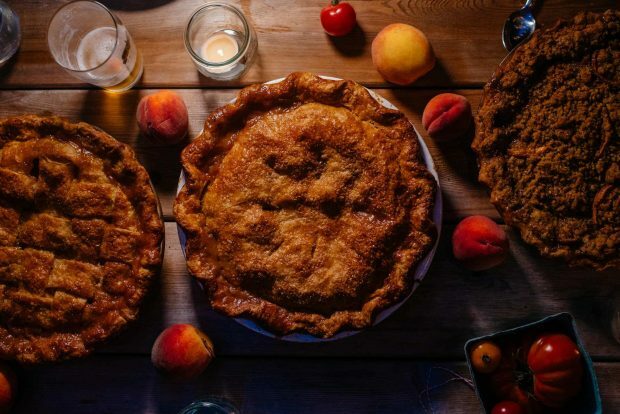 I look forward to your next book, but in the meantime, this post has got me craving peach pie! Lovely and inspiring! I’m going to do this. I’m very eager to see your caprese salad recipe with peaches! What a good idea. Thanks — I keep thinking about that salad! I got your book just to see the harvest dinner chapter, and I’m planning. So pretty. I’m loving the blue with the harvest vegetables. Looked like a special evening. 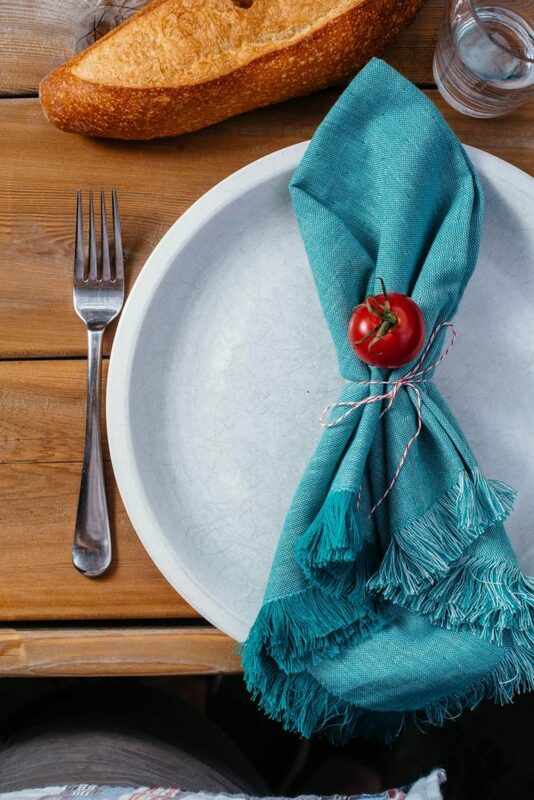 Late summer vegetables are so warm, with their reds and oranges, that I needed the blue of those napkins to cool the table down. 😉 I’m glad you like it! I think they will work for Thanksgiving, too. hey girl- great post! Love the pics! I love your posts! 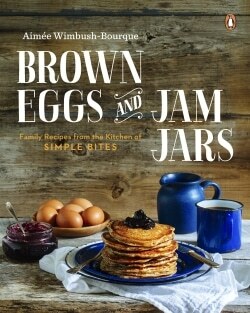 I’ve pre-ordered your cookbook #2. I discovered you through Ree Drummond ‘Pioneer Woman’. Love her! In Oklahoma, USA, we get Colorado Peaches from Cunningham Peaches. YUMMMM! Ree is the best! I’m so glad you’ve made your way over here. Welcome and thanks so much for the pre-order, Dana. As much as this is about a beautiful meal, I love that the focus here is about enjoying our daily blessings as well as sharing them with others. 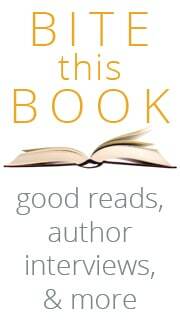 Love your posts & look forward to your next book! Your writing is as delicious as the photos & recipes. That means so much. Thanks for the encouragement, Dani. I also meant to say–Tim Chin–LEGEND!! 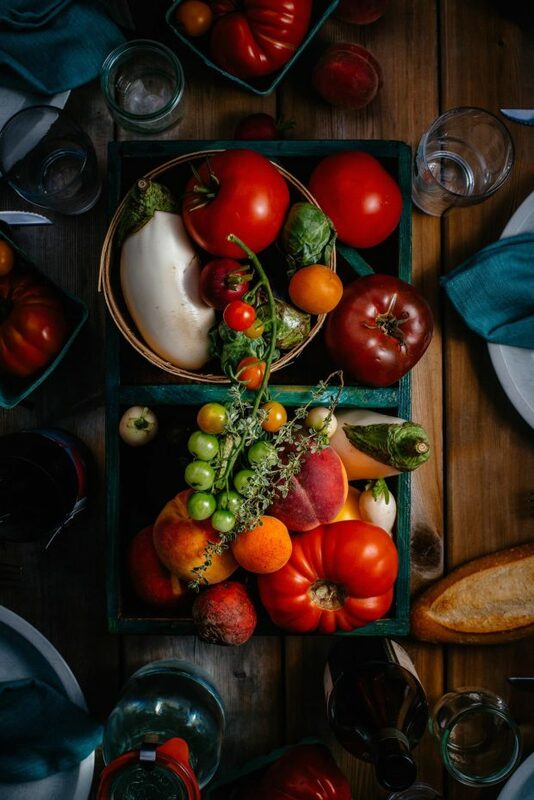 This makes me want to be your neighbour and host my own harvest dinner! So beautiful and simple. August produce and friends = perfection. Nice post. it looks amazing! !